Photos of single plates indicate larger collections (50 - 500). Multiple pattern photos indicate that we've combined patterns to create a fabulous look. Please allow us to use our best judgement for mixing and matching, we're good at it! 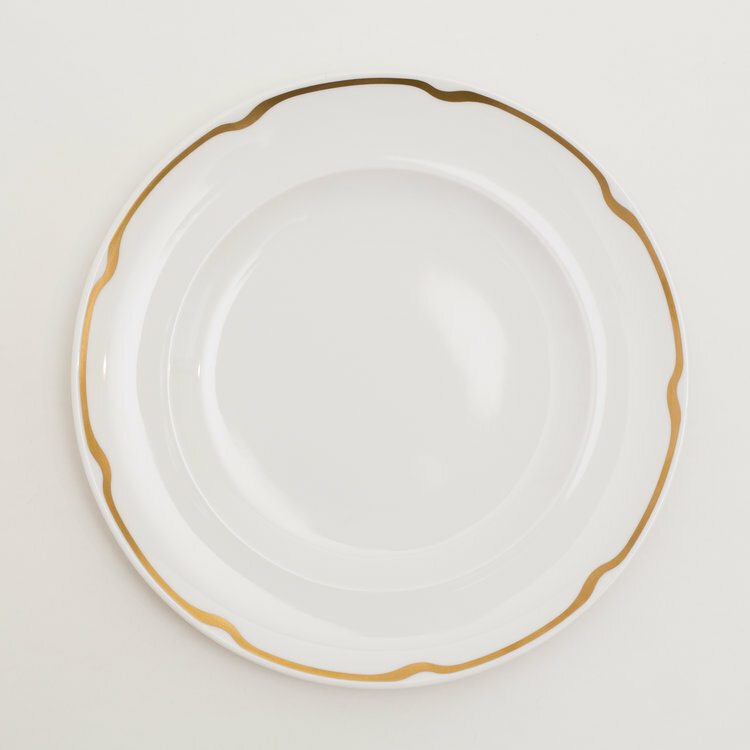 The nature of vintage plates is that some tones may vary, as they have been curated from many sources. All of our glass plates are vintage…yes, the real deal! The colors and detailing are gorgeous. Many date to the depression era or before & most are made in America. The adage of ‘they don’t make ‘em like they used too’ definitely applies. See for yourself. Though these vintage sweeties do have wheels, they were not built to be rolled across a ballroom, but to stand and look gorgeous in the corner of your living room. Their purpose now is to serve as an adjunct service area for drinks, coffee, sweets & whatever you might need. We ask you please to not roll them. Namaste. Photos featuring one style of glass indicate larger collections of a single pattern. Quantities are always evolving, & we do sometimes work magic and fill out quantities to fit needs. Multiple pattern photos indicate that we’ve combined patterns to create a harmonious look. Please allow us to use our best judgment in this process. The nature of vintage glassware is that some detailing may vary based on prior usage. Please feel confident that we will not send out any inventory with chips or excessive fading, and certainly nothing we wouldn’t drink out of ourselves.